I remember my first stick of deodorant was given by my physical education teacher the weeks leading up to summer break... it was, amongst other things, a sign of growing into womanhood as I carefully tucked it into my school bag (Mother wasn't very fond of these things). Since those days I've always had a spare one here and there for those needy situations though I've never grown into a full time user. Yet when I opened my latest press box from Seasons Box and saw this little jar of "natural deodorant" I had to be intrigued! 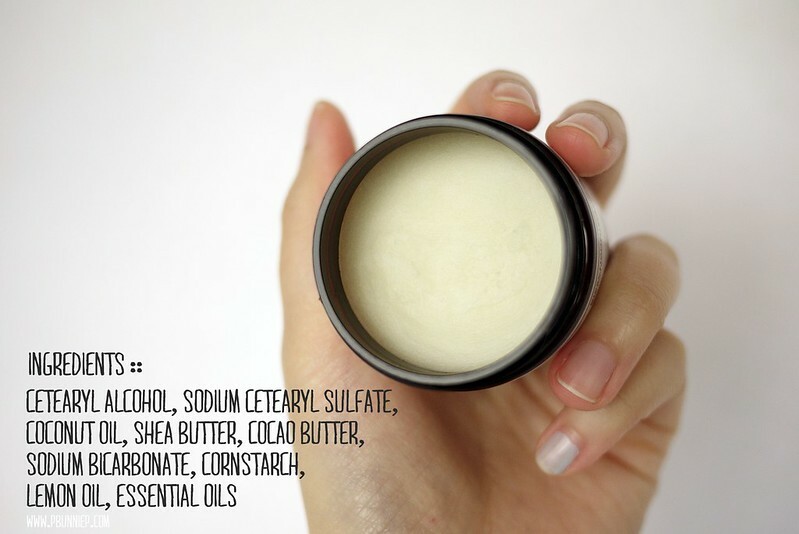 I really like my little dependable stick of Olay, truly I do but I couldn't help but be swayed by the talk about the ingredients in popular deodorant / anti-antiperspirant products that may be hazardous to your health. Rumours while they are, I'd like to keep my chances low if I can. With absolutely no expectations (and a bit of fear might I add), I opened the lid to find a pale off white solid cream. The scent of lemon is vivid in this concoction, something that reminds me of a lemon tart. The balmy looking product melts into a smooth cream like consistency as you touch it with your fingers and once applied does leave a soft silkiness to the skin. I did a heavy swatch below so you can get a better feel of the texture but you certainly don't need much product per application. 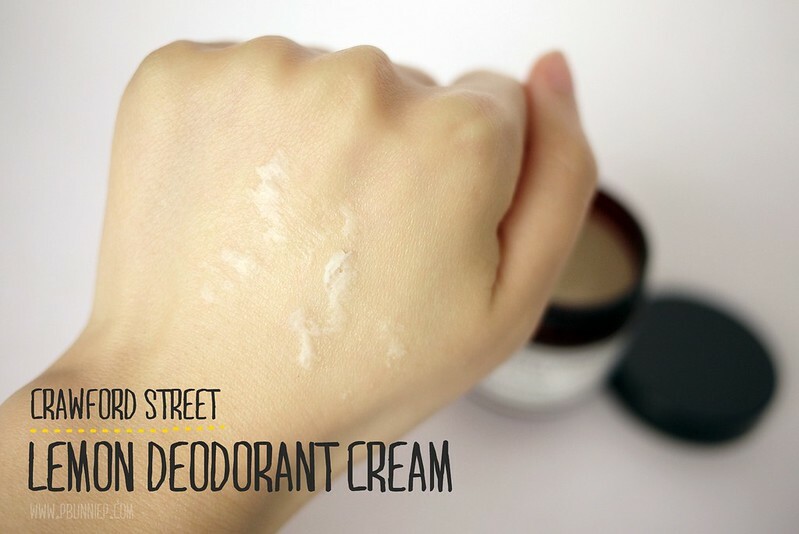 In fact, apply too much and you end up with somewhat sticky underarms when you sweat... I made this mistake the first few times because it disappeared so quickly onto my skin that I wasn't sure if put on enough at all. The application process does take a bit of learning, I wasn't a big fan of the finger dipping (as recommended on the instructions) so I ended up using cotton wool pads to smooth on the product. Ideally, I do wish they would have put this in a wider, shallower jar so it was easier to get to. Considering this is labeled as a deodorant rather than anti-antiperspirant, I suppose main purpose is to make sure you smell lemony all day long. Using this around the house and in casual settings, I did find this to perform quite nicely and actually keeping mild wetness away during the day. (Am the only one that gets sweaty during filming?). Using this during my runs, it was less impressive in keeping me dry but I sure did smell like lemons all the way around the block. Another thing I really liked is the way that it dries back down to a silky finish after you sweat, it just becomes silky again without any other strange residue or reactions. Will this be replacing my heavy duty anti-antiperspirants you ask? Probably not as they are still the clear winner for me in those special situations but I do really enjoy the option of having something lighter and more natural to use in my day to day life. In fact I have putting this one on more often during my morning routines. While the line is a little sparse from their website offerings, I've now got my eyes on their Grapefruit Mint Salt Body Scrub ($10CAD/240ml) but I do hope they will expand the line further in the future. 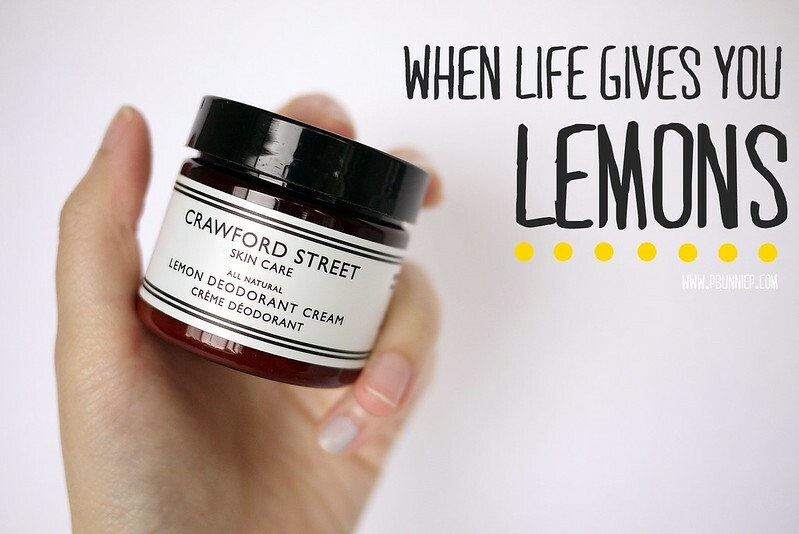 I quite enjoy this deodorant as I don't like anti-perspirants, but I am also wanting that Grapefruit Mint Scrub too! P.S. It's nice to meet another Vancouver blogger! I just found you through Lau's blog, yours is fab! This is a really interesting product, I honestly didn't even know it existed until now. I could picture using this on days around the house as well. Although, I'm a sucker for anything natural with a short ingredient list! They're a pretty small but established Canadian brand, it's actually the first time I've heard about them as well. I really like that Seasons Box tries to focus on local brands when they can, or else I would likely have never known these! On a side note, I'm not a super lemony type of girl, much more into flowers... lemons can easily go into the "dish washing soap" category. Thankfully, this one doesn't.